Registration is closed as the conference is full. 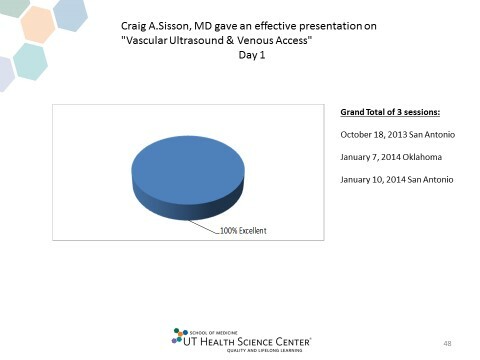 Please email garzareck@uthscsa.edu to be added to a waiting list for the February course and notified of future courses. Point-of-Care Ultrasound Workshop is a unique hands-on experience to teach providers bedside applications of portable ultrasound. During a series of hands-on sessions, participants will practice capturing specific ultrasound views on live models and patients under the guidance of experienced faculty. 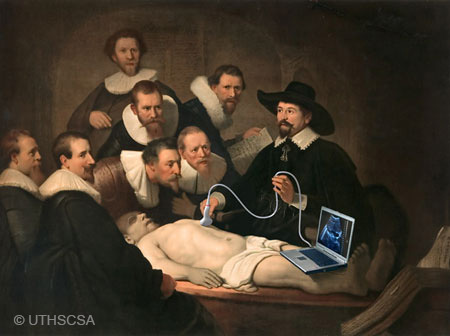 The hands-on sessions will be complemented by didactic lectures to improve the participants' knowledge of the indications, technical skills, and clinical integration of bedside ultrasound. 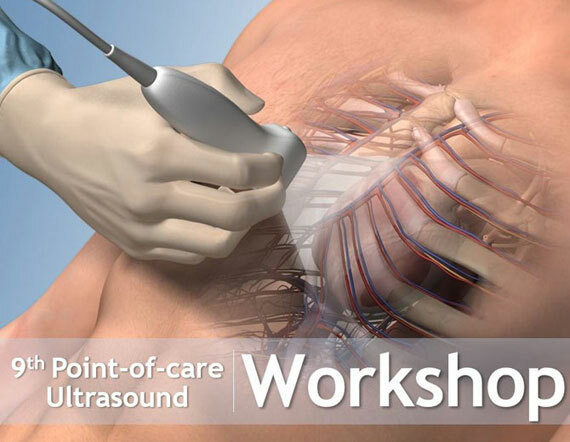 This workshop is designed for clinicians seeking training in portable ultrasound. Why is this workshop unique? This course satisfies one of the program requirements for the SHM Point-of-care Ultrasound Certificate of Completion. Room rate expires on December 28th, 2019. 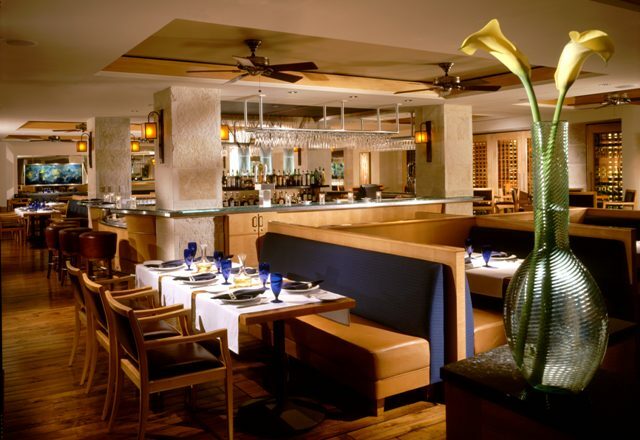 February is a popular month for San Antonio events, please book early as rooms will go quickly. Group Rate will be offered three (3) nights pre/post contracted dates, based on availability of standard room type at time of request. All special room rates are exclusive of appropriate state and local taxes, fees and assessments, currently 16.75% and are subject to change without notice. All reservations must be guaranteed by a valid major credit card. One night's room plus applicable taxes will be charged at the time of reservation to hold your room. Any guaranteed reservation not canceled 72 hours prior to arrival will be subject to one night room and tax cancellation fee. *Upgrades to Riverview guest rooms can be made at a discounted guestroom rate of: $229.00++, based on availability of the room type, at the time of booking. 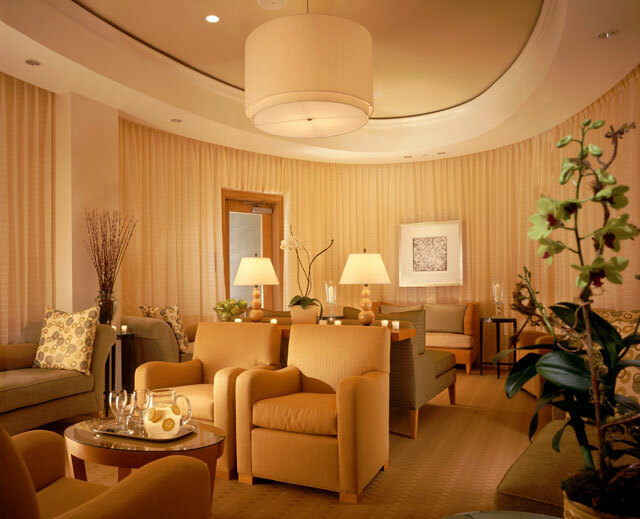 Attendees are responsible for all individual charges, room, tax and incidentals incurred at the Hotel. Payment of all charges is due and payable upon check-out. The UT Health San Antonio Joe R. & Teresa Lazano Long School of Medicine Office of Continuing Medical Education will not be responsible for any charges incurred. Partial refunds of 75% of the course registration will be provided for cancellations prior to December 28, 2018. No refunds will be given for cancellations after December 28, 2018. The UT Health San Antonio Joe R. and Teresa Lozano Long School of Medicine is accredited by the Accreditation Council for Continuing Medical Education to provide continuing medical education for physicians. 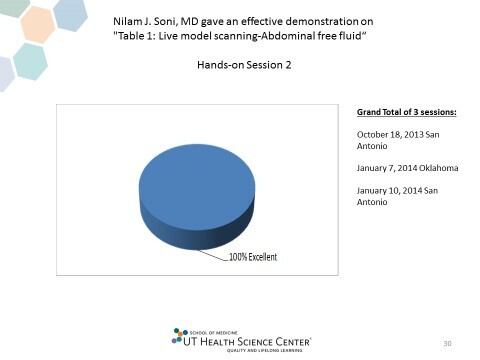 The UT Health San Antonio Joe R. and Teresa Lozano Long San Antonio School of Medicine designates this live activity for a maximum of 16.0 AMA PRA Category 1 Credits™. Physicians should claim only the credit commensurate with the extent of their participation in the activity. “Successful completion of this CME activity, which includes participation in the evaluation component, enables the participant to earn up to 16.0 MOC points in the American Board of Internal Medicine’s (ABIM) Maintenance of Certification (MOC) program. Participants will earn MOC points equivalent to the amount of CME credits claimed for the activity. The Long School of Medicine Office of Continuing Medical Education will submit participant completion information to ACCME for the purpose of granting ABIM MOC credit. Headquartered in Seattle, Washington, EchoNous, is developing an expanding family of intelligent medical tools to help healthcare professionals solve common everyday problems in healthcare. CEO and industry innovator Kevin Goodwin and COO Niko Pagoulatos, PhD, a prolific engineering leader, direct the company together based on their decades of experience. SonoSite portable ultrasound systems are designed for use by clinicians at the Point of Care. They run on AC or DC power, turn on in seconds, are easy to use, are very durable and reliable. SonoSite systems and transducers are built to military specs to be dropped and not break so they are the most durable and reliable systems on the market and they come with a 5 year warranty with free loaners sent overnight. SonoSite systems also have simplified controls that are designed for ease of use allowing clinicians with varying skill sets to focus on the patient and not on the ultrasound machine. SonoSite systems come with advanced imaging technologies which provide clinicians with excellent image quality thereby providing quicker diagnosis/treatment, improved patient satisfaction and greater patient safety. SonoSite's ease of use, durability, reliability, best warranty, outstanding customer service, best clinical support, ongoing educational support and no required PM-Preventative Maintenance add up to be the best overall value while providing our customers with the lowest total cost of ownership. Philips is a leading health technology company focused on improving people's health and enabling better outcomes across the health continuum from healthy living and prevention, to diagnosis, treatment and home care. Philips leverages advanced technology and deep clinical and consumer insights to deliver integrated solutions. The company is a leader in diagnostic imaging, image-guided therapy, patient monitoring and health informatics, as well as in consumer health and home care. Clarius is the only handheld wireless ultrasound machine that doesn’t compromise on image quality. 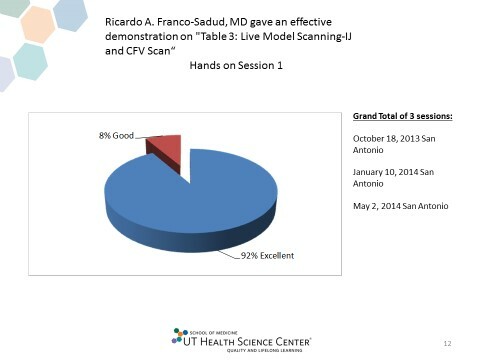 It offers high-resolution ultrasound images that are as good as the best traditional point-of-care systems. Clarius handheld ultrasound scanners wirelessly connect to most iOS and Android smart devices. Clarius C3 Ultrasounds Scanners image the abdomen and lungs, and work as a virtual phased array for cardiac imaging. Clarius L7 linear array ultrasound scanners are ideal for guiding procedures. Simulab is dedicated to replicating human anatomy and building easy-to-use simulation training tools for medical professionals. Since 1994 Simulab has been collaborating closely with leading educators world-wide and is constantly pushing the boundaries of tissue discovery becoming the market leader for realistic and affordable medical simulation solutions. From pocket-sized ultrasound…to the simplicity of a tablet…to an innovative console system that will grow with your practice, GE Healthcare's Point of Care technology is ready to meet your needs with excellent image quality. Our systems support a wide range of clinical specialties including emergency medicine, critical care, musculoskeletal, rheumatology, anesthesia, pain management, head and neck, interventional, and surgery.